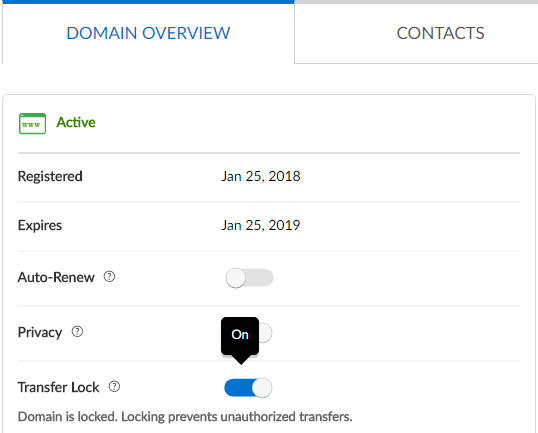 Web.com—How Do I Manage the Transfer Lock on My Domain? A transfer lock protects a domain name from being transferred out of your account by an unauthorized user.This lock is an added layer of protection to keep your domain names registered to you or your business even if someone were to obtain your unique authorization code. 3. In your Domains list, click any domain. 4. 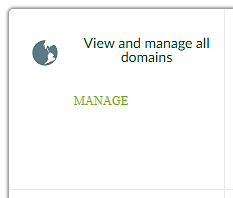 On the Domains Overview page, click the Transfer Lock option to On. Your domain is now protected with the Transfer Lock feature. Web.com—How Do I Find My Domain Transfer Authorization Code?